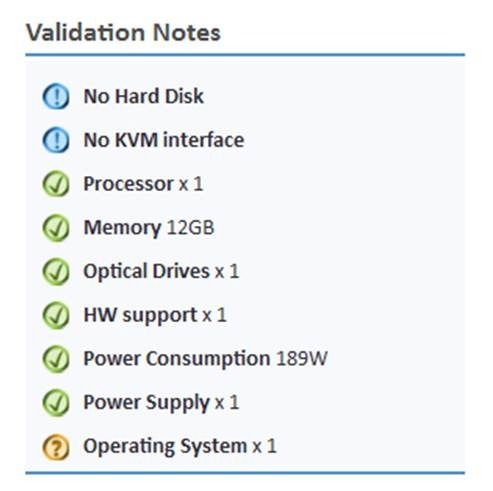 As part of our 1·9 version release there is a new addition to Validation Checklist for HP ProLiant Servers. Power Sizing is an incredibly useful new function that calculates the Wattage draw of a ProLiant and its installed options on-the-fly. See the image below: the interface could not be simpler. If the power draw of the Server exceeds the capacity of the Power Supply Unit (PSU) HP iQuote will error and suggest a higher capacity PSU. For Uninterruptable Power Supply sizing Wattage often equals VA (though local environment may need to be factored in). 1.9 also saw a number of other improvements so look out for more Blog articles coming soon.